To define the outcomes and risk predictors of fetal and maternal consequences of pregnancy in lupus nephritis (LN) patients. Maternal and fetal outcomes of pregnancy in 52 systemic lupus erythematosus (SLE) patients were observed. Patients were allocated into two groups according to the presence or absence of LN. LN patients were subject to a higher risk of fetal complications, including fetal loss (7/24, 29.2 %, P = 0.001), lower birth weight (2548.2 ± 540.8 vs. 2949.1 ± 592.6 g, P = 0.028) and a higher frequency of small for gestational age births (33.3 vs. 10.7 %, P = 0.002). Higher rates of lupus flares (83.3 vs. 21.4 %, P = 0.001) and increased LAI-P scores (0.65 ± 0.36 vs. 0.21 ± 0.27, P = 0.001) during pregnancy were observed in LN patients. 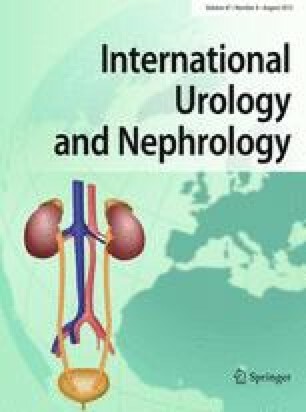 Multivariate analysis showed that increased SLE activity (P = 0.02, OR 4.2, 95 % CI 1.2–14.5), renal damage (P = 0.001, OR 8.4, 95 % CI 2.2–31.8), hypocomplementemia (P = 0.05, OR 3.23, 95 % CI 1.0–10.7), hypoalbuminemia (P = 0.011, OR 5.62, 95 % CI 1.4–23.0) and hypertension (P = 0.021, OR 6.0, 95 % CI 1.5–24.2) during pregnancy were predictors of adverse fetal outcomes. Pregnancy in LN patients should be monitored before and during pregnancy because of poor fetal and maternal outcomes. Increased LAI-P scores, renal damage, hypocomplementemia, hypoalbuminemia and hypertension are predictors of adverse fetal outcomes for SLE patients. Jiaxuan LV and Wei Wang both authors contributed equally to this work and share the first authorship.